If you have been thinking about Why become a vegetarian then read this blog. You’ll keep your weight down. A diet—high in saturated fats and processed foods and low in plant-based foods and complex carbohydrates is making us fat and killing us slowly. We see so many fat & obese people around us that we don’t need any data to prove it. This is a major cause of weight-related ailments including heart disease, stroke and diabetes. 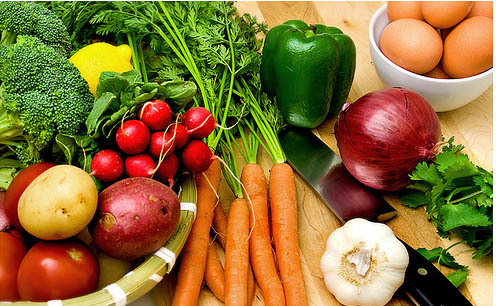 If you switch to a vegetarian diet, you can add about many healthy years to your life. Want proof of longevity? Residents of Okinawa, Japan, have the longest life expectancy of any Japanese and likely the longest life expectancy of anyone in the world, according to a 30-year study of more than 600 Okinawan centenarians. Their secret: a low-calorie diet of unrefined complex carbohydrates, fiber-rich fruits and vegetables. According to the US Food and Drug Administration (FDA), foods rich in protein such as meat, poultry, fish and seafood are frequently involved in food-borne illness outbreaks. Eating a lot of vegetables necessarily means consuming more fiber, which pushes waste out of the body. Meat contains no fiber. People who eat lower on the food chain tend to have fewer instances of constipation, & hemorrhoids. Eating vegetables, grains and fruits in place of the meats is a much cheaper option. I don’t advocate becoming a pure vegan or vegetarian but I am of the view that your diet should be based mostly on vegetables and less on meat.